Intrepid showcased 2 whole castles for the castle siege and Steven teased that these were 2 of the 5 castles that would exist in the MMORPG. The first castle is the Aelan human castle which is located within the desert and has been shown before in the castle siege preview videos. The second castle is dwarven themed and is located on the mountainside against a cliff, this gives off a Lord of the Rings siege vibe and features a grassy/tropical terrain. This adds a great dynamic to the testing phase and further proves why the BR is essential to the testing of the MMORPG. The developers discussed how the core objectives would be the same as the MMORPG castle siege and would involve a team of attackers vs a team of defenders. They intend to start on a small scale and slowly increase the scale of the castle sieges until they are able to achieve the desired amount of 200vs200. The gameplay is intended to be dynamic, heavily mobility/co-ordination reliant and will offer counter-attacking and various strategic objectives that help turn the tide of battle. 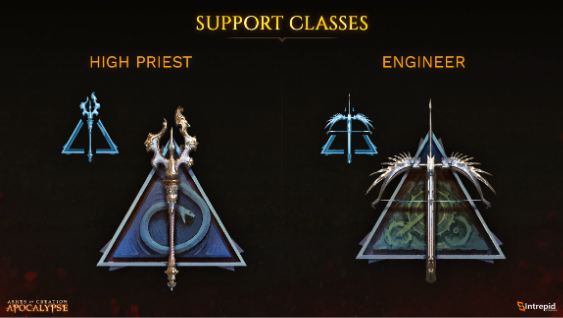 The core classes are meant to function in a rock-paper-scissor balance method where each class has their pros and cons and excels at what their focus is. Raid composition is expected to be incredibly essential as the prep phase of each match will allow players to view the total class count of their team, this will help team leaders build a balanced composition depending on their strategy. You will have infinite lives in castle siege. If your character dies, you are added to the team respawn pool and will respawn together with them when the timer hits zero. This respawn timer can be made shorter/longer depending on how many points your team has captured or has lost. There are no mana drops or armour repair. All characters spawn with a mana pool which slowly regenerates over time. Everyone starts off with a fixed pool of armour which can be restored via capturing enemy points of interest. Engineers are the only class that can restore armour. Communication is meant to be tiered. The 100 players will be split into 5 groups of 20. These 5 raids will have team leaders or raid leaders that will be able to use voice comms to communicate between each other. The players within raids can VOIP between each other and additionally also hear information from the leaders of the other 4 raids. This way everyone call follow the top communication and talk between themselves in order to co-ordinate attacking or defending and bring fights into their favour. And finally, the win condition involves getting past the first phase (which involves destruction of the gates/walls and breaking into the castle) and then making it to the second phase which involves fighting against the defenders and beginning a channelled cast to claim the enemy crystal which is present in the heart of the castle. Intrepid plans to have it heavily guild focused and to promote competition. 5 raids of 20 planned. Phase 1 - Getting past the defenses. Phase 2 - Claiming the enemy crystal. A tank class with a large healthpool, it primary job is to clear a path and move people out of the way. Block - Lets you reduce incoming damage. AOE Pull - Multiple spears shoot out in a circle and grab enemies to pull them in closer. Mobile Shield - Deploys a shield that can be moved around by the character. Absorbs damage and can be triggered to explode. Melee DPS class. Meant to jump in and CC enemies with good damage. Leap - Jumps forward a large distance. Ground Pound - Large AOE damage and CC. Whirlwind - Spin 2 Win berzerker skill. Mage class with a focus on AOE damage (Area of Effect). They lack focused abilities, but excel in AOE spells. Magic skills do extra damage to armour. Teleport - Teleports your character backwards, leaving a decoy behind. Flamethrower - Channels a cone of fire for as long as you have mana available. Meteor - Launches a meteor at a location to deal AOE damage. 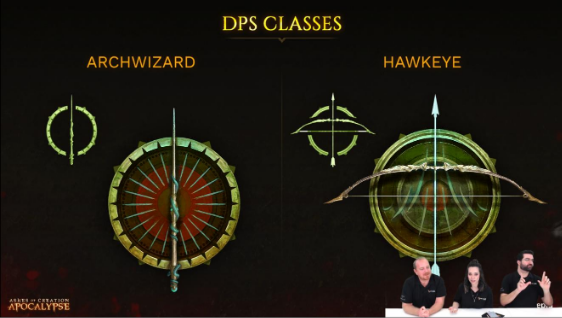 Ranged DPS class. Has numerous abilities that directly pierce armour and do bonus damage. Primarily focused abilities. Grappling Hook - Lets you scale walls and cover large distance. Primary healer of the support classes. Has AoE heals and Healing pools Scepter bolts (Drifter) damages enemies and heals allies. AOE Heals - Lets you heal multiple allies. AOE healing pool - Heals all allies standing within the pool. Divine Form - Provides damage mitigation and heals allies/damages enemies around them. Hybrid class with both melee and range. Meant to provide armour recovery and upkeep of siege equipment. Repair - Allows you to repair siege equipment and repair armor. Earthquake Arrow - Fires an arrow that pounds the ground and knocks people around. Gizmo of Ingris - Provides an ally with a 1-time use Catfall boots. When the open beta launched in December 2018, it highlighted some systemic issues that needed to be resolved, before they could continue with the beta test. Because the architecture behind the Apocalypse beta is the same one that will be used for the MMORPG, it is vital that these issues were corrected in preparation for the MMORPG alphas and betas. Unreal Engine 4 has some great features out of the box, but making a MMORPG is a lot of work. Thankfully, Intrepid has a full range of veteran developers with lots of experience from previous MMORPG projects. First ever patch notes are available (thank you Margaret!). You can use the new bug report form. This goes directly to the QA team. It allows the necessary bug information to go to the correct people, and allowing them to fix the issues faster. New registrations and password/username recovery on the website are fixed. Also, please migrate your account to the new system by logging in on the website. Regarding the problem of previous purchases not showing up, please send a support ticket. Affiliate program: All the data is present (your referrals, purchases of your affiliated, your credit etc). Once all the referrals migrate their accounts, it will show up. If not, everything will be migrated over by Intrepid, over time. Lots of errors have been fixed, as their web team has received some assistance. Launcher/installer will go through some new iterations/additions (being able to see patch notes in launcher etc). Duo is currently not working, so please don't queue for it. Working on finishing details for the my.com and mail.ru integration. Will be done soon. Apocalypse open beta weekend from January 11th to January 13th. More info here. How will balancing within castle sieges work compared to BR? Abilities will use stamina and mana more often in castle siege than the BR mode. Mana will have passive regen, some class in the future will interact with it. However no mana drops on field. There is no dual wielding class currently in castle sieges. During castle siege class selection phase, you’ll be able to see what other classes your team has picked to help you balance your team. Will we be able to swap classes mid game mode? Still being discussed as it has both pros and cons. Currently not allowed to switch. Dont want class switching to develop into a meta. Will apocalype still run after MMORPG has launched? Yes, most likely. Goal is to have both products up. Apocalypse is meant to test and preview things before they go live into the MMORPG. It is very helpful to test various systems without revealing everything. Also lets us scale the number of players, lets us do controlled experiments. 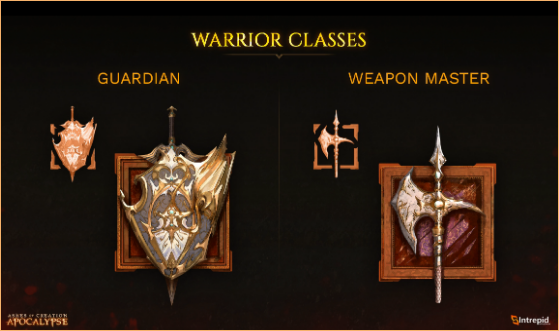 Are there plans on adding more classes? The idea is the provide a range of skills and abilities that can be customized within a season. This will let you customize things for siege/horde. However this will come at a later time. As for adding classes, not sure as unsure about timeline. As apocalypse is a test bed, and since Apocalypse is a bit delayed, can you talk about how it doesnt affect or delay the MMORPG? When you have a large team working on multiple milestones for delivering various things, it works differently. Helps us solve issues that would have cropped up in the future and have affected the MMORPG. But now these things wont happen. Select number of developers are reserved for apocalypse. We have talked about balance in apocalypse, what imbalances need more attention? The Bonesmasher will be addressed in next patch. Data is still being looked at and gathered. Ranged seems very weighted on melee. Still waiting for more data to come through. The way we approach balance. Balance issues fall behind bug issues as bugs are a higher priority, especially during the beta phase. After the beta phase, the balance changes take priority. Will there be a reputation or standing system for guilds/alliances to set on each other in order for politics to come into play? It is a cool idea, however the current standpoint is a specific system that works on inviting guilds into an alliance that lets you combat, chat, warehouses, quests, node warfare. Neutral states /guilds lets you have trade agreements and war on guilds. And this baseline will be what we are focused on and will be in the guild leader UI. Dont want to go beyond the current scope. We do want to have as much of it in there as does promote relations within the game. Will there be hidden within every apocalypse mode and are there rewards and will there be rewards for finding them? So far so good, it’s hidden. There will be some interesting easter eggs hidden in the game. With 64 class combinations, what are some things the team is planning to facilitate for the secondary classes? Due to secondary augmenting the primary, tanks will be different from fighter and rogue etc due to primary being different. The augments are unique to each class. Tanks that choose mage will get unique augments. If Fighter choose mage, they get specific augments to the fighter class. They are baked into the classes and they wont feel the same. Augments are not within the class option alone, there are quests and society things that change quests, letting you change radiance skills to darkness skills, fire to ice, etc. Not just vertical progression but also horizontal progression. So progression from exploration, society, node progression etc will all provide uniqueness and abilities. “I have seen a shield wall spawn and I know this belongs to X player because only he has it”. Can you share progress update on the core MMORPG systems such as nodes/caravans etc. and how these systems are progressing and how your thinking has developed or changed regarding these systems? The Core vertical slice for nodes etc has been ready since over a year ago, especially during alpha 0. You have seen the speed at which we have progressed at each stage, with pax, apocalypse and so much more. The progress on systems and core technologies are in a state of active development and being prepared for alpha 1. The desire to see these will be in a presentable state as we get closer to alpha 1. Things have to be tested and locked in before they are announced as they require significant tweaking when they actually enter testing. But most importantly, when they’re ready to be shown (near the end of Q2 2019), they will be shown. Nodes 3 are confirmed and will be included in this. Bacon and the environment team are hard at work on the node systems as the node system is the crux and the baby of this whole project. The progress of the tech behind the nodes is amazing and in a great position, however it still requires polish. We dont want to show something that we might have to step back from. We dont want to show things that we cannot fullfill. Lots of cool things coming up in the future. Great summary as always @Kirby ! y Tex,but there will not be Class skills i mean for every class(skill tree),it will be like in BR mode 3 spells per class i think :/!! @Vujkan The way IS is doing the classes for siege mode to me is a stepping stone to the full blown MMO combat system. In the battle royale, no classes, with abilities tied to armor/weapons making it very generic for everyone. Siege is like you said probably 3 abilities per class, probably plus a basic attack. This way everyone becomes a little more distinct and they are able to see how the different classes do their thing and interact, group mechanics ect. In the Hoard mode my prediction is almost all of the classes will be available with 4-6 abilities really honing in on their niche gameplay. Just my thoughts. It may not be MMO ready combat but it's moving towards it.